Our fully accessible building is a hub where individuals can meet and express their creativity. Our varied groups who use the centre also love the warm and welcoming atmosphere here. Locals and tourists alike can enjoy wonderful refreshments and free WiFi in our café. 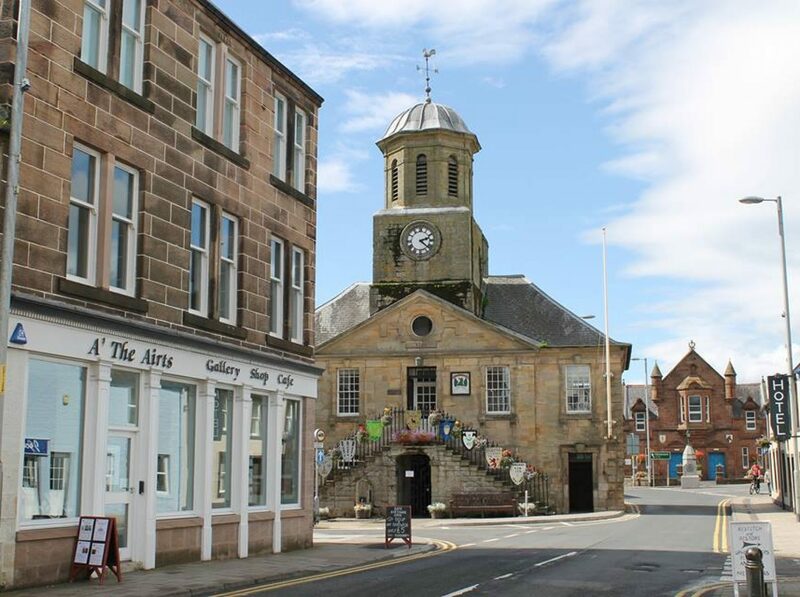 Our shop is a great place to browse unique Sanquhar Pattern knitwear and accessories – some exclusive to A’ the Airts – and a superb variety of wares from local crafters. In addition, we have a number of facilities such as workrooms and a theatre / exhibition gallery, on offer. To view and shop the full range of Sanquhar Pattern Designs, please visit the website.